We are excited to announce that our new pop up shop at Westfield Belconnen is opening on Friday 4 March 2016. 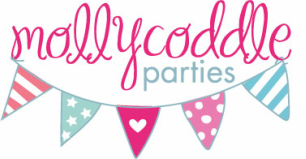 Taking bookings now for pamper parties, so hurry and don't miss out as we are only here for a limited time. Our time at Woden has finally come to an end. We just want to say a big 'Thanks' to Westfield Woden for having us this past year, we have had an awesome time. We had great fun at the Baby and Kids Market at EPIC. If you missed out we will see you there next time on the 22nd of November from 9:00 to 12:30pm. We will still be entertaining the kids for free including colouring in, hair braiding and glitter spray, nail polish and fake tattoos. So why not come down and say hello and find out what we are all about. We had a great time and met some wonderful people at the Fyshwick Fresh Food Markets this past couple of weeks. A special congratulations to 'Afif' who won our colouring-in competition, his mum Natasha was very proud. Watch this space for the next time we will be heading down there.